“Spamilton,” the smash hit musical has now moved into a larger house! No, I’m not talking about “Hamilton,” the smash hit musical whose ticket prices hover in the $800 range. I’m talking about Gerard Alessandrini’s masterful spoof of “Hamilton,” which started uptown at the tiny Triad nightclub on W.72nd Street. It was on a second floor and had no signage anywhere, over a Turkish restaurant. I don’t know how audiences found it, but they did! It was more than cozy at the Triad and absolutely hilarious. And was only supposed to run three weeks! And now look at it! 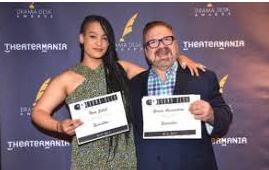 Now, with two Drama Desk nominations under its’ belt (One for Alessandrini for Best Lyrics and one for Nora Schell, see above, for Best Featured Actress in a Musical), “Spamilton” is now firmly enconsed DOWNtown from the Triad at The Puerto Rican Traveling Company’s theater at 304 W.47th Street, just off 8th Avenue. a mere block away from “Hamilton.” And frustrated theater-goers, who can’t get into “Hamilton,” just mozy on over to “Spamilton” and pack that house, too. It is a theatrical phenomeon that keeps growing exponentially. “Spamilton” has grown a second act, too, as befits its’ status in a proscenium-arched house. And I, a rabid fan of Alessandrini since the year dot, was DEEE-lighted at the surpise intermission. There’s no such thing as too much of a good thing, and “Spamilton” is a great thing. 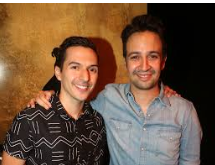 Alessandrini, Broadway’s master spoofist, has outdone himself here, with a show satirizing just ONE show “Hamilton“, with the central character being Lin-Manuel Miranda, not Alexander Hamilton. And Miranda can stand up to the spoofing. See above, yes, that IS him, with the marvelous young actor playing him, Dan Rosales. Miranda has tweeted, “It’s brilliant! I laughed my brains out!” And Bette Midler evidently saw it, too, and told Alessandrini, “Be gentle with me.” And he is, and yes, SHE’S in it, too! 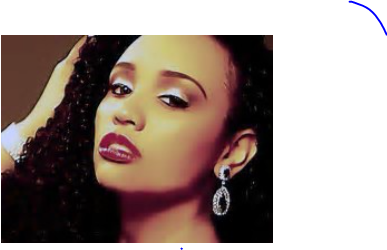 Nora Schell is gone, but the comely Nicole Vanessa Ortiz, is more than filling her high heels and hitting the high notes of the nearly 100 characters SHE is called upon to play, including Audra McDonald, Jennifer Lopez, Beyoncé and Gloria Estafan. 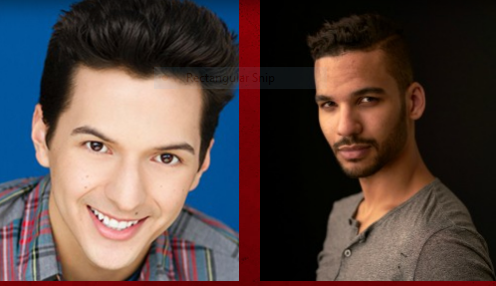 And Dan Rosales, who I’ve now seen impersonate Lin-Manuel THREE times, has just grown and grown into a true star with every iteration. You can never say that about Alessandini. He IMPROVES every show he spoofs. May his “Spamilton” run as long as “Hamilton.” It’s so funny, it probably will. I could see it every night forever!